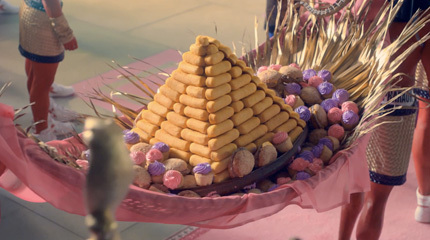 In all honesty, when Katy Perry first released the music video for her latest hit, “Dark Horse,” I was mortified; Yes, Ancient Egypt was the theme of the video, but the presence of Katy’s intense diamond grill, spinning chariot rims, and a pyramid of Twinkies was completely overwhelming. Katy Perry’s decision to create a pink Egyptian palace wasn’t made simply to celebrate her favorite color. 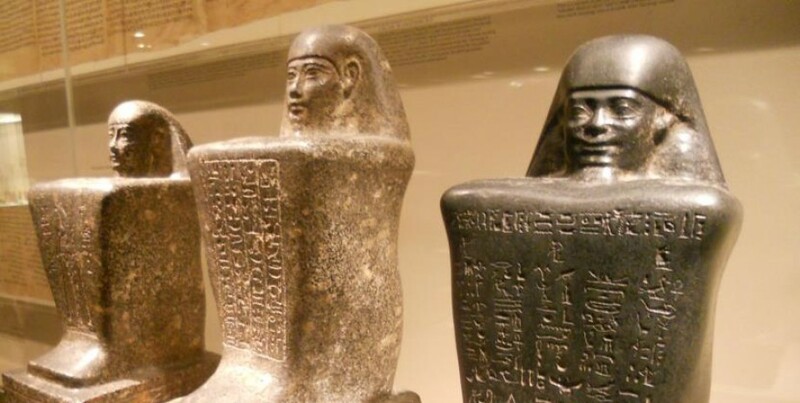 The Egyptian pharaohs used pink granite in ancient architecture. The stone came from the southern region called Aswan, located just above the first cataract in the Nile between Nubia and Egypt. Although the natural pink granite quarried in Aswan was not as…potent in color as the stone appearing in the video, Katy gets an ‘A’ for effort. During the video, KP hangs with a few of the many gods worshipped by the Ancient Egyptians, including Bastet, Sobek,Horus, Seth, Aten, Anubis, and Thoth. There’s even a discreet shout out in the song itself when she sings, “Make me your Aphrodite.” Although Aphrodite is a goddess of Ancient Greece, the Egyptian goddess Isis was referred to by the Ancient Greeks as Aphrodite. If you know me at all, you know Cleopatra is one of my favorite Ancient Egyptian females. Whether you believe she was a woman who slept her way to the top or a brilliant leader and cunning politician (in case you’re wondering…the second is correct J), there is no question of her impact on Egyptian history. Katy Perry gives a graceful nod to this Egyptian Queen through her stylized makeup, her encounter with Egyptian asps—referencing Cleopatra’s tragic end (a moment of silence for Cleo please), and the lyrics mentioning Aphrodite. Cleopatra often portrayed herself as the Goddess Isis, particularly during her relationship with Caesar, as a way of aligning herself with one of the greatest goddesses in the Egyptian World. Okay…it’s time to address the Twinkies. Although I think this is absolutely ridiculous…Twinkies do last forever…and pyramids are a symbol of eternal life. I’ll give that one to you Katy. I don’t like it, but I respect it. *As a bonus, the rapper featured in “Dark Horse”, Juicy J, is from Memphis, Tennessee, which is named after one of the capital cities of Ancient Egypt, placing him as the cherry on top of this Egyptian sundae. 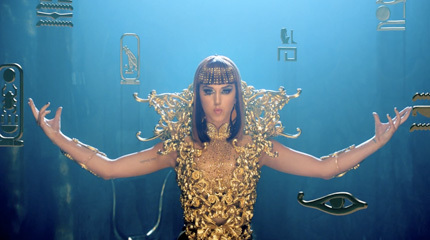 Although there was no Egyptologist on set for the creation of the video, it is clear that Katy Perry and her team had some idea of the history and religion of Ancient Egypt. However, I have no explanation for Katy’s diamond grill…sorry friends.